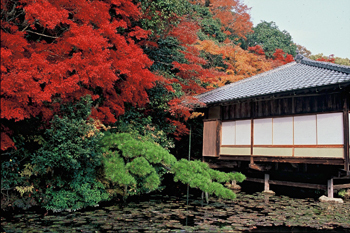 Tatsuno"- Little Kyoto" SUBPAGE | All Japan Kyoto Association"
Tatsuno is located in the middle of Tatusno City and is blessed with beautiful nature and hills dotted around the area. 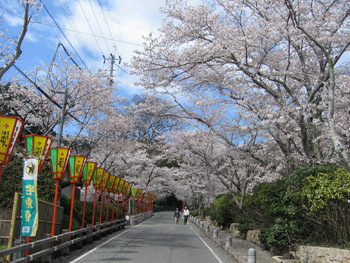 The castle town was owned by the Wakisaka Clan in the olden days and is called a “Little Kyoto in the Harima region,” exhibiting many samurai houses and old storehouses with white earthen walls. Tatsuno has been a transportation hub since early times and its culture and industry including soy sauce and somen noodle production and the making of traditional leather items flourished alongside the Ibo River. The secret of Tatsuno’s beauty lies in the perfect combination of Mt. Keiro’s greenery, the pure stream of the Ibo River and the old traditional townscape. The town emanates poetic sentiment and has shined brightly during the course of its history. 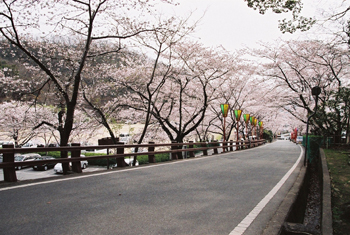 This park is one of the most famous sites in the town to enjoy the grand view of some 3,000 cherry trees in full bloom. 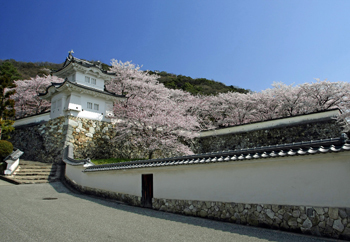 This castle was built by the head of the family, Yasumasa Wakisaka, who governed this region. The Honmaru Palace, Uzumi-mon Gate and Sumi-yagura Towers have been completely restored to their original state. In the olden days, the scenery that could be observed from this place was exceedingly beautiful. 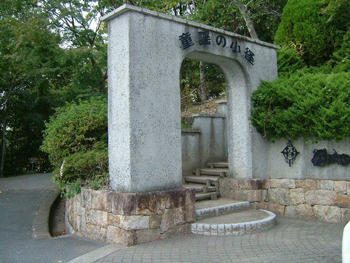 It is unknown from when and why the place started to be called Shuen-tei. Along the path, there are 8 stone monuments which are equipped with a sensor; a song plays at each when a person walks by. 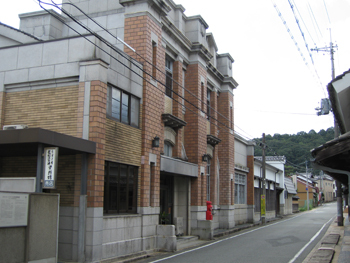 The old soy sauce factory which was in use until the early Showa period has been renovated as a museum. Tools used for manufacturing soy sauce such as wooden barrels and containers and old documents are exhibited. 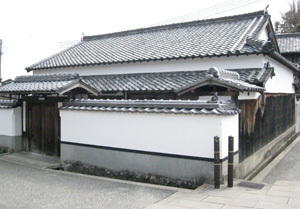 This is the birthplace of the Japanese songwriter, Rofu Miki, who wrote a number of famous children’s songs such as “Aka Tonbo (Red Dragonfly).” He lived in this house with his parents until he was 6 years old and the house has been repaired and preserved. 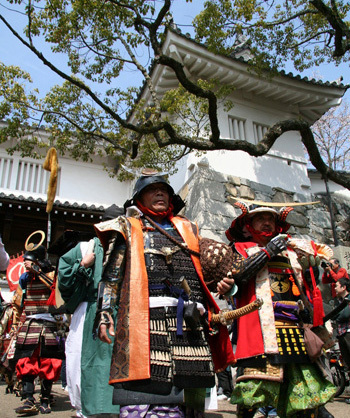 Under the fully blossoming cherry trees, about 300 participants wearing samurai costumes parade around the park. A traditional Japanese music concert and tea ceremony will also be held. 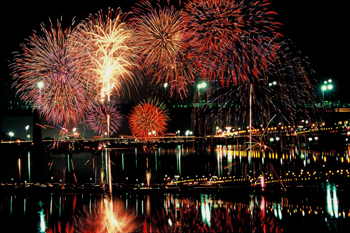 About 2,000 fireworks are set off creating a fantastic show in the summer sky. An elegant tea ceremony and Japanese traditional music concert recreate the elegant moon viewing ceremony held at Tatsuno Castle during the Edo period. This is a citizen participatory festival with various fun events including a parade. Showcasing the fine leather items produced in Tatsuno, leather items are for sale, along with leather craft classes and a fashion show. This manju sweet dumpling is made with soy sauce produced in Tatsuno. Tatsuno is famous for its fine somen thin noodles, particularly the “Ibo-no Ito” brand is popular throughout Japan. Somen can be enjoyed all year round; chilled somen in summer time and hot somen in soup in winter.